Businesses and organisations across the region looking for conference facilities are being offered the chance to see what a landmark building has to offer. 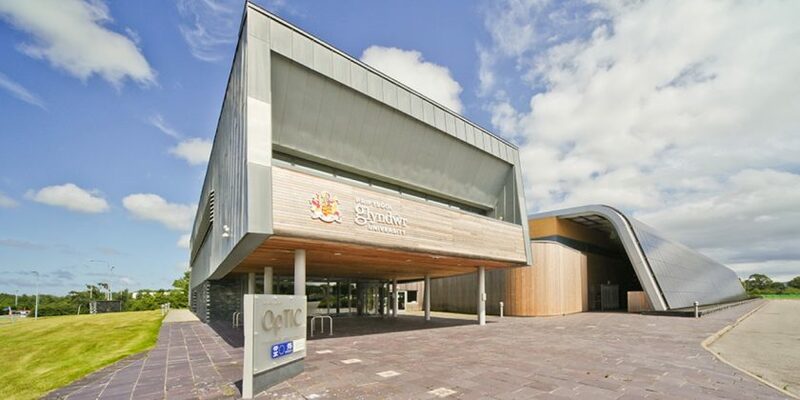 The OpTIC Conference Centre Open Day, to be held on Thursday 17th May, will give people the chance to meet with the Glyndŵr Innovations and Ffres Catering teams who are based at the centre and see what they have to offer. Business and Innovation Centre Manager Debbie Davies said: “The Day is open to and targeted at all businesses and organisations – large and small – who are looking to hold a meeting, conference, interviews, events and more. “It’s designed to show new customers what we have to offer – and to give them the opportunity to view some of our facilities and try the food. Our onsite caterers Ffres Catering, also run the café which is open to the public – and proves quite popular with those in the know! “We already have a range of customers from across North Wales, including large organisations and businesses of all sizes. We can offer a large conference room that seats up to 120 people theatre style, and exhibition space too – as well as AV equipped rooms catering for a range of group sizes. For more information about the day, or to discuss your needs, please contact the OpTIC team on 01745 535100 or email opticreception@glyndwr.ac.uk. If you or someone in your organisation are interested in attending the Open Day, you can book online here. Read 1,245,883 times in last 30 days. Read 1,245,883 times in last 30 days, and 73,800,352 times since we started in 2011.